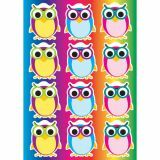 These fun and colorful owl nameplates are ideal for desk or cubby assignments, labels, work recognition, bookmarks and more! Each pack includes 36 nameplates, measuring 9.5" x 2.875" each. 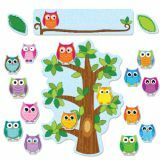 Available in a variety of prints, nameplates are great addition to any classroom!